"We’ve been helping organizations like yours create successful websites since the internet was born. In talking with thousands of nonprofit professionals over the past almost twenty years, we’ve collected hundreds of stories of what works (and what doesn’t) on the web. These stories come from people who are working in the trenches every day at nonprofits like yours. 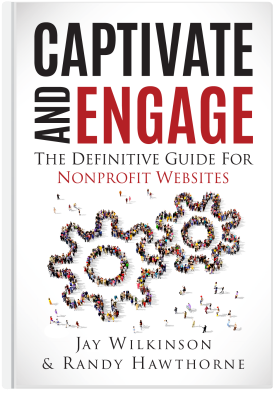 In short, we’re here to help you make your website the center of your nonprofit’s universe." Your website can become an expensive, time-consuming boondoggle, but nobody wants that. That's why this book was born. It's your pathway to creating a captivating and engaging website, without all the hassle or exorbitant costs. Use it as your blueprint for creating the website of your dreams.